Kennedy Soft's result driven SAP capabilities, business knowledge, technical Insight and implementation experience addresses the most pressing business challenges of today. 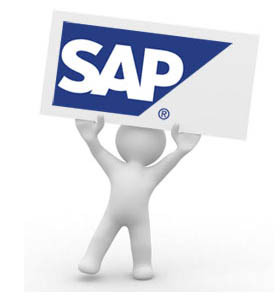 Our SAP practice is equipped with proven tools, methodologies, templates and accelerators. It is supported by a SAP Global Delivery Center to bring to you robust implementations, faster rollouts, risk free upgrades, dependable production support and best quality development. Kennedy Soft's tools and intellectual capital are applied to every engagement to assure a successful SAP implementation. Our Strong team of SAP Professionals consisting of Industry experts, solutions architects and functional and technical consultants with several years of industry experience. Identify the SAP solutions that address the particular requirements of the enterprise, and then tailor those solutions to best fit your needs. Kennedy Soft's Global Delivery model helps lower your SAP Total Cost of Ownership by leveraging a global network of resources. Kennedy Soft's global practice is dedicated to support SAP systems that combine a wealth of world-class, full service outsourcing, consulting and systems Integration teams. Set Kennedy Soft's business experience, renowned collaborative culture and extensive leadership capabilities to work for your company. SAP Upgrades presents an opportunity to extract the best returns from your long-term investments on SAP at a low incremental cost, thereby increasing productivity and the much required competitive advantage. Every enterprise faces different SAP upgrade challenges and needs customized solutions for their unique IT landscape. Despite all the benefits, and SAP upgrade project can be intimidating. Lack of Insight to estimate time, resource requirements, and limited In-house knowledge can make the task very daunting. An upgrade project, when done correctly, can overcome all those challenges with a RIGHT Partner. Kennedy Soft can help you with your SAP upgrade and enhancements by using our experience and global delivery advantage by keeping total cost of ownership under control. Kennedy Soft provides a complete range of offerings from consulting, managed services, training and support for SAP upgrades and enhancements. We will work with you on all stages – Planning, Implementation, Operation and ongoing optimization of your SAP landscape. We offer a requisite expertise methodology with high quality standards to ensure a successful upgrade with minimal disruption.